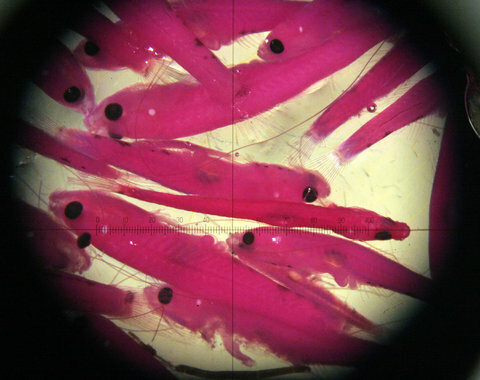 California Department of Fish and GameDelta smelt seen through a microscope at the California Department of Fish and Game. The ecosystem of the delta where the Sacramento and San Joaquin rivers meet has been in the legal equivalent of an intensive care unit for four years. But just before Christmas, an upbeat report came in, showing that a year of copious rain and snow had significantly improved.the delta’s condition. 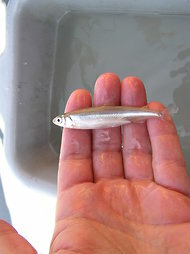 Fish and Wildlife ServiceThe tiny delta smelt. High flows of water from the melting of deep snow in the Sierra provided enough for both the tiny fish known as the delta smelt, long considered on the brink of extinction, and for the farming communities that have chafed under legal rulings requiring them to give up water to keep the smelt and its ecosystem going. Mike Taugher reported in The Contra Costa Times that an index reflecting the smelt’s abundance had seen a 10-fold increase, from a score of 29 in 2010 to 343 in 2011. The index was at its highest level in a decade, though still less than a quarter of the levelsrecorded in 1970 and 1980. The high water levels were not necessarily the main or the only cause of the rebound — a representative of the Natural Resources Defense Council said that changes they had pushed for in the management of the estuary could also be responsible. But there was no question that the populations of fish besides the smelt — particularly the striped bass population — also did well, although shad did not. “The weeds don’t stop,” he was quoted as saying. In an article on the spongeplant problem, Dr. Anderson wrote that the large mats of spongeplant seen in the San Joaquin River and the delta indicate that the plant could spread across large areas of open water “and render them ill suited for healthy fish and wildlife habitat.” The plant’s spread would also be “problematic for critical Delta pumping and irrigation delivery systems,” he added. Those would be the same pumping and irrigation delivery systems whose schedules were modified to protect the smelt, reducing deliveries of water through the Delta to southern farmers and cities. Another weed, the water hyacinth, caused pump problems several years ago and was eventually brought under control. At the moment, however, the spongeplants are getting less water than they might be accustomed to, as the Pacific weather system known as La Niñaholds sway. So far California’s winter rains have been few and far between.